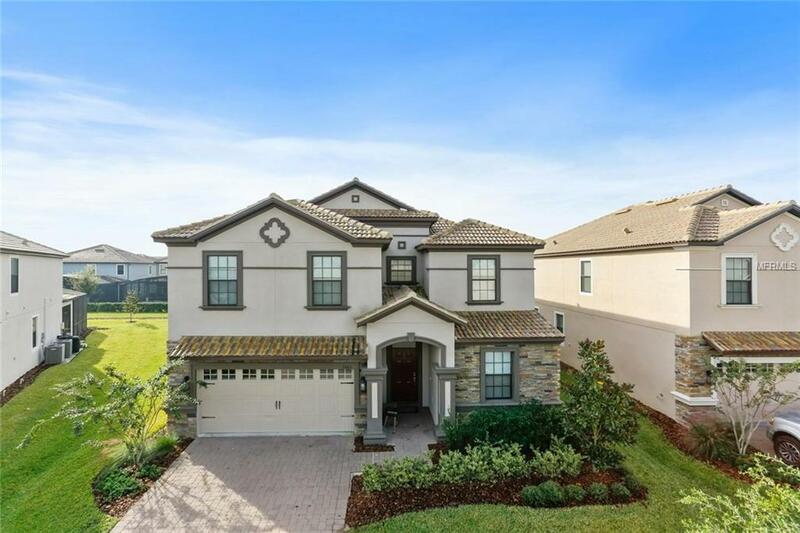 ChampionsGate é exatamente o que as famílias procuram tanto para casa de férias quanto para morar em Orlando. 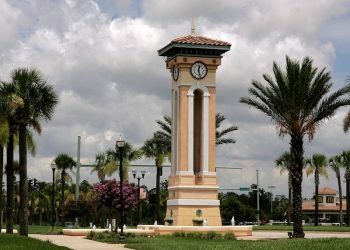 Como destino turístico e comercial privilegiado de Orlando – que abrange cerca de 1.500 hectares ao sudoeste de The Walt Disney World Resort – ChampionsGate® recebe os visitantes pela saída da I-4 com linhas imponentes de palmeiras muito altas por trás dos portões duplos lindamente desenhados. 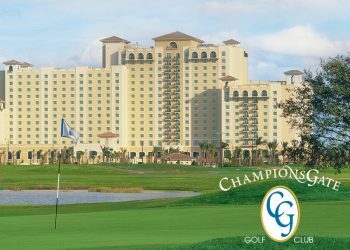 Com 36 buracos de golfe de campeonato projetados pelo campeão internacional golfe Greg Norman, ChampionsGate é como nenhum outro resort de golfe do mundo. 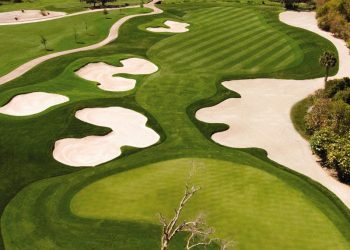 O resort de golfe possui também um clube de 35.000 pés quadrados, que possui uma loja de artigos esportivos, instalações para banquetes de serviço completo para até 300 pessoas e um bar com serviço completo. David Leadbetter – o instrutor de muitos golfistas profissionais mundialmente famosos, incluindo Nick Price, Ernie Els, Michelle Wie, Trevor Immelman, Ian Poulter e Greg Norman – escolheu ChampionsGate® para ser sua sede mundial para o The Leadbetter Golf Academy. 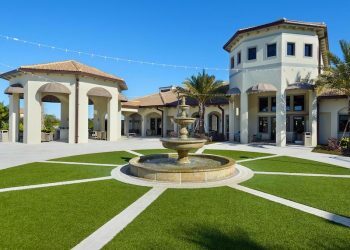 ChampionsGate já possui dois campos de golfe de campeonato e estão em curso nas primeiras duas novas comunidades, oferecendo mais um de 18 buracos de golfe, várias Clubhouses, Parque Aquático, 8 campos de tênis, restaurantes, bares, etc. 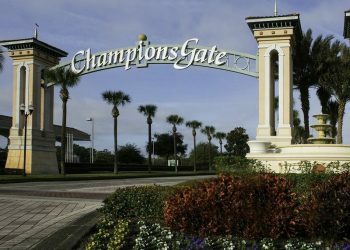 Quando completou os desenvolvimentos combinados em ChampionsGate contará com mais de 5 mil casas, 54 buracos de golfe, além de uma escola primária e um parque, hotel de 5 estrelas, comercial, varejo, lojas e restaruants. 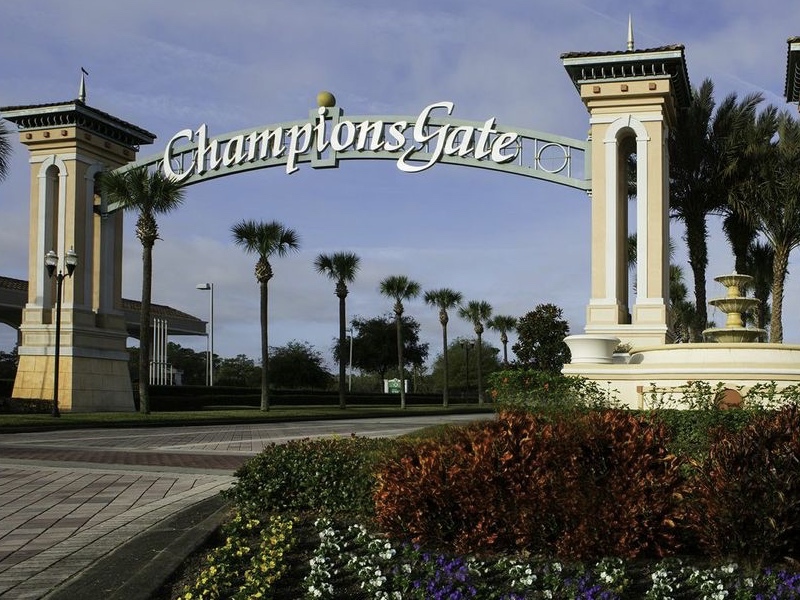 ChampionsGate é bem conhecida pela sua localização popular, na saída 58 da I-4. Localizado a poucos minutos dos mundialmente famosos parques da Disney na Flórida, da Universal Studios e da Legoland. Estando no coração da Flórida, sua localização possibilita viagens de costa a costa de forma mais fácil e rápida. 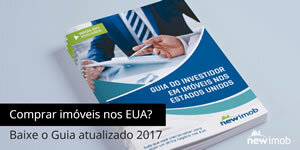 Apenas uma pequena viagem pode levá-lo para a costa leste da Flórida, para aproveitar as ondas e as areias. 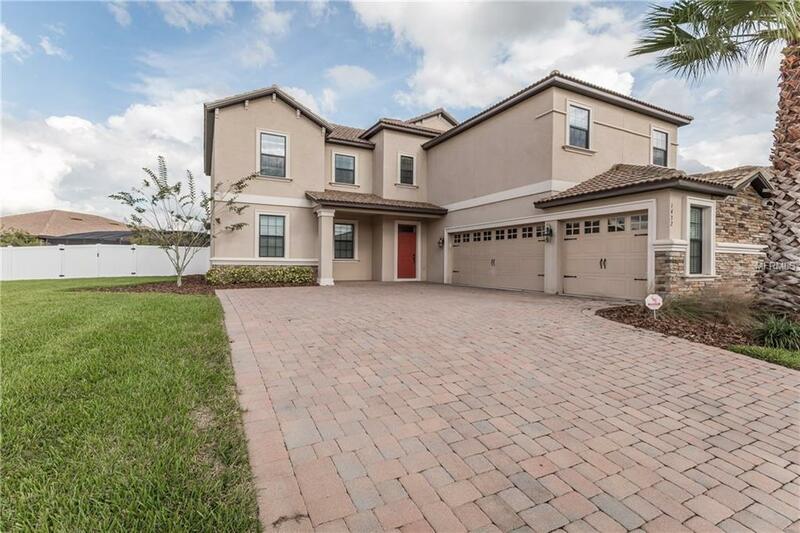 Perto de todas as principais atrações e fácil acesso à Space Coast e The Gulf, ChampionsGate já garantiu a sua posição como um destino privilegiado na área de Orlando. 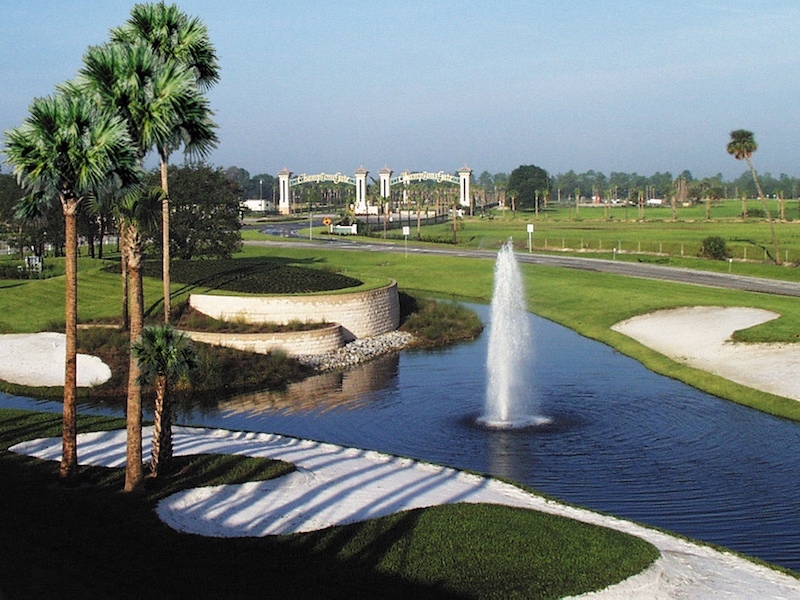 The Country Club at ChampionsGate oferece um resort de alta qualidade com uma experiência real de clube de campo. Esta comunidade irá incluir 600-800 casas unifamiliares, moradias e condomínios e um clube de 30.000 pés quadrados, The Plaza, com restaurantes, piscinas e um centro de fitness. 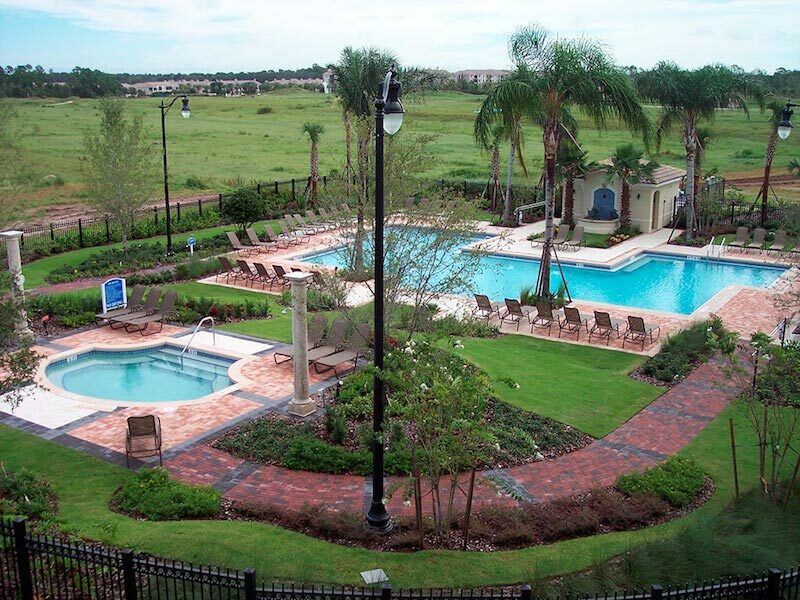 A poucos minutos da Disney, The Country Club at ChampionsGate é uma casa perfeita longe de casa. 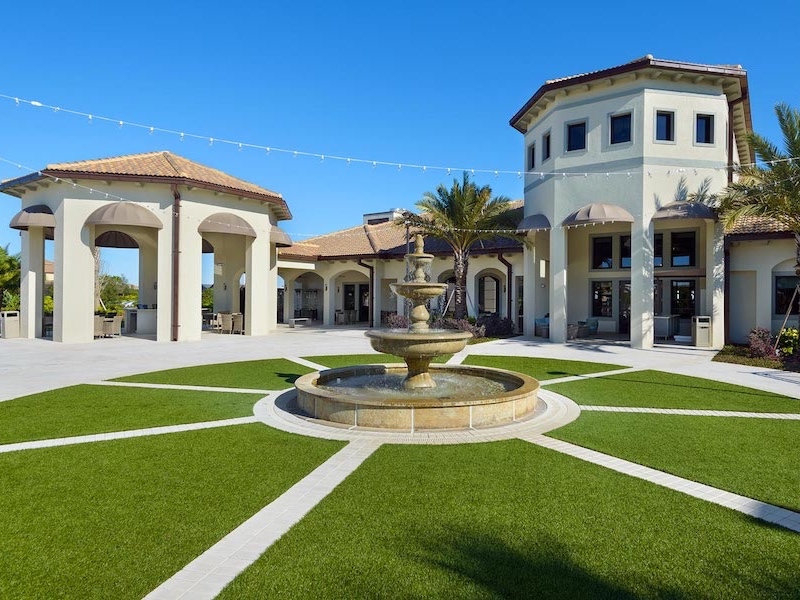 The Retreat at ChampionsGate é voltado para o mercado doméstico de aluguel de curta duração e férias e entrega o olhar e a sensação de um resort de luxo direto de fora de sua janela. O condomínio será composto de 600-700 casas unifamiliares para serem vendidos como resorts de aluguel de curto prazo, o Oasis, uma casa do clube 20.000 pés quadrados que inclui piscina do resort e parque aquático infantil. 382 Casas Condos / Town homes / Golf Casas com vista para 54 buracos de golfe. 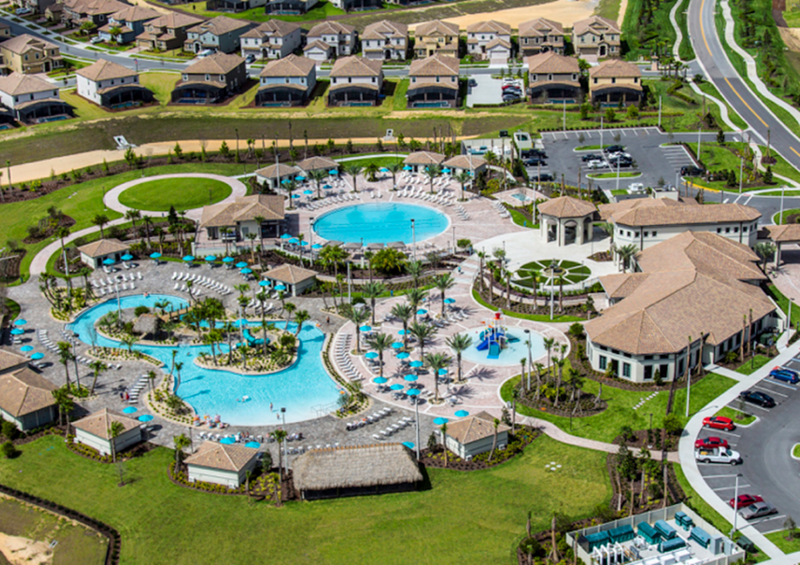 Skip the wait list for the hottest resort community near Disney! This Two Bed/Two Bath furnished corner ground floor condo is located in the Champions Club. Located in the exclusive Champions Gate Resort complex which includes the Omni Hotel, world class Golf courses, shopping, entertainment and sports complexes. 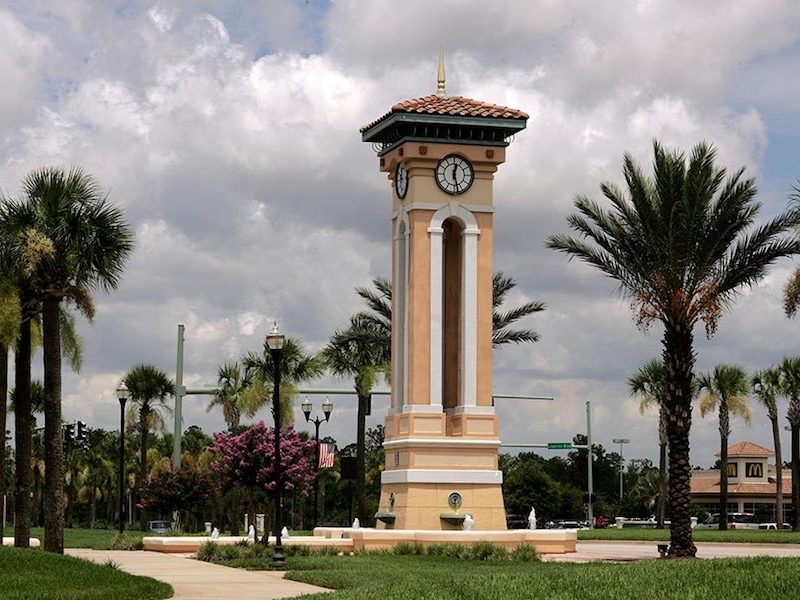 Steps away from the new CG country club golf course. Short term zoning with minimum 30 day lease restriction in place. Low maintenance living includes fully maintained lawns. 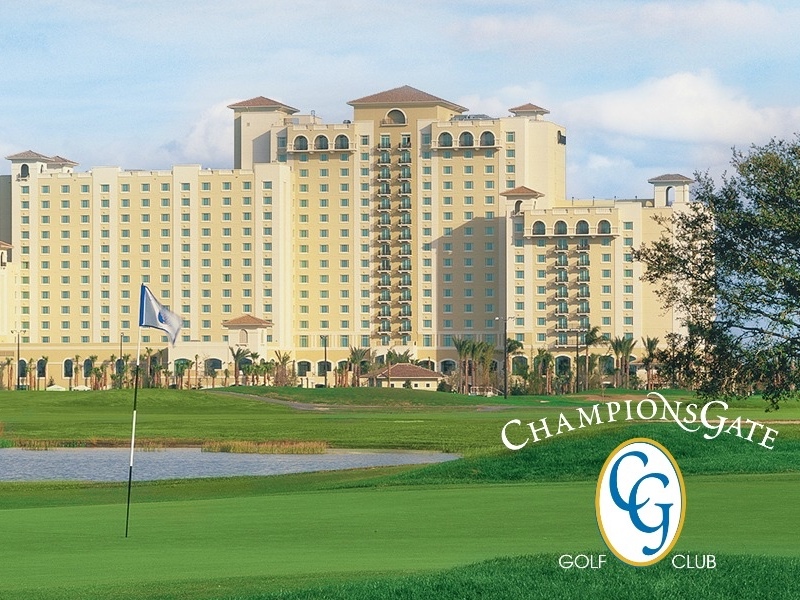 Residents of the Champions Club have access to the state-of-the-art, luxury-inspired Oasis Club at ChampionsGate. This exclusive clubhouse features a resort-style swimming pool with a lazy river and splash pad, a fully-equipped fitness center, an arcade, a tiki bar, a theater room, a restaurant and bar. One or more photo(s) has been virtually staged. 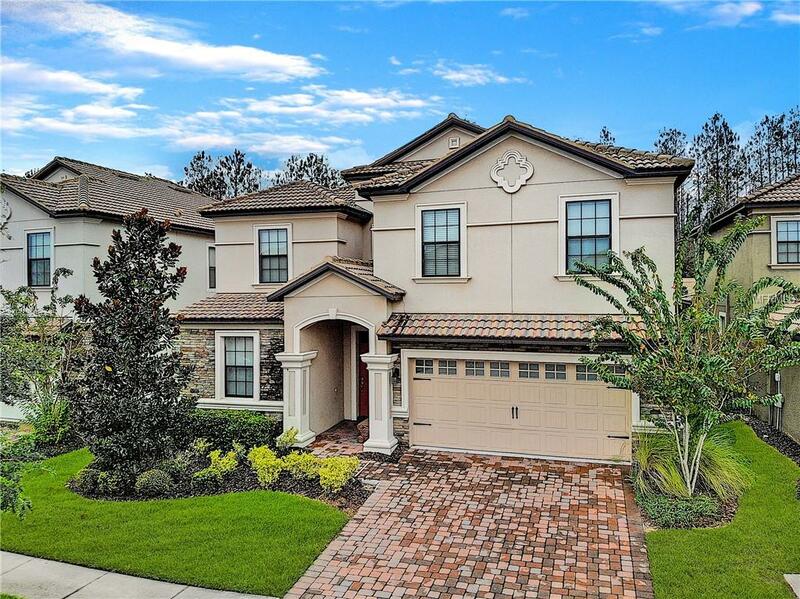 Incredibly priced, Estate home, in the peaceful &apos;Country Club’ section of the Champions Gate golf community, located just 11 miles from Disney! If you have a family look no further as this impeccable home will welcome you to a life style you can all enjoy. Its 5 bedrooms are all comfortably sized & there are 3 full bathrooms. One bedroom & bathroom is located downstairs for convenience. This home offers many upgrades which include high grade granite, & floor tile throughout the ground floor. The kitchen and living room are spacious & open plan, which is ideal for today&apos;s easy living. Both areas have windows and patio doors leading to the exceptionally large but privately fenced yard. The dining room is located off the kitchen for all the family to sit together, or there is granite breakfast bar & a dining area in the kitchen for easy dining overlooking the rear yard, & there&apos;s also the extra bonus side yard. There is a formal living area located at the front of the property providing ample areas for everyone to live comfortably. Upstairs has a HUGE game room which can also be a cinema/media room providing more fun areas. The 3 car garage has an internal door into the hall. Being in the residential side of this great community allows you access to the golf course, and the spectacular huge, communal pool with cabanas, and restaurant. Plus the kiddies fun splash area and lazy river. Come and start your new life style today & call me for a viewing. 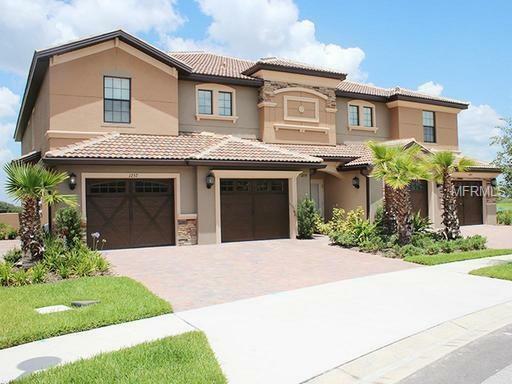 Beautiful 5 bedroom 4.5 bath fully furnished vacation home located in The Retreat at Champions Gate. 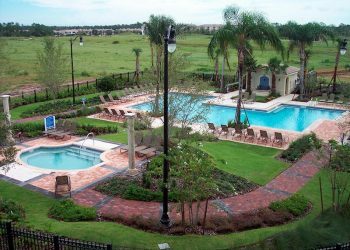 Champions Gate is a stunning guard gated golf resort community located within minutes to Disney and all other attractions. 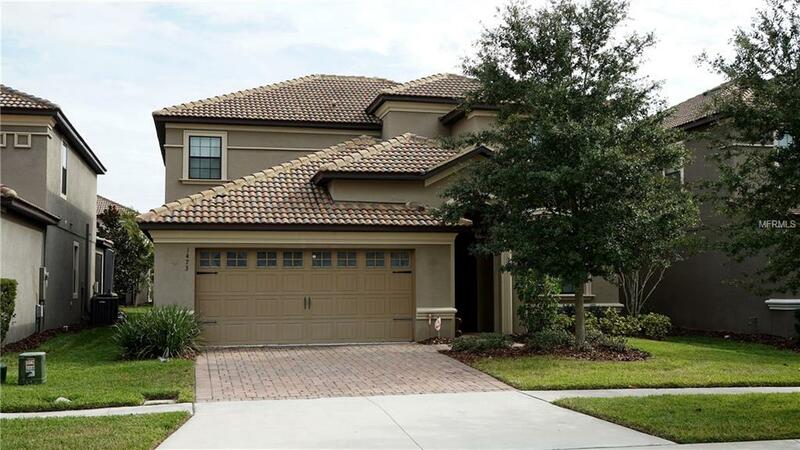 This home is turn key with several weeks of bookings already in place. 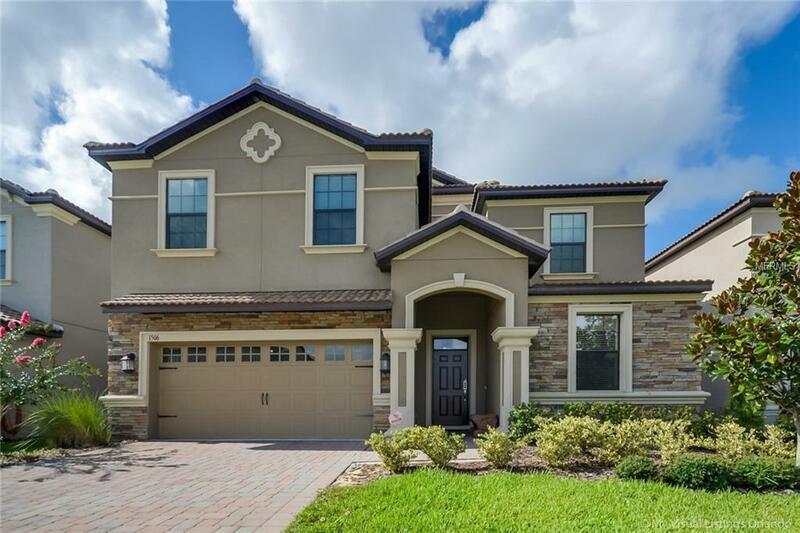 The interior of the home is beautifully furnished and features granite counter tops, stainless steel appliances, upgraded tile and cabinets, game room, flat screen TV&apos;s and much more. The exterior of the home features screened covered heated pool and spa, covered lanai, brick paver deck, brick paved driveway and walkways and a tile roof. HOA includes security monitoring, cable TV, internet, phone, lawn maintenance and access to the Oasis Club house. The Oasis club house features; restaurant/bar, movie theater, arcade, yoga room, camp oasis, exercise room/gym, large circular pool, kiddie splash pool, lazy river, tiki bar, 2 sand volley ball courts, air conditioned cabanas and much more. The builder had energy efficiency in mind when building this home. 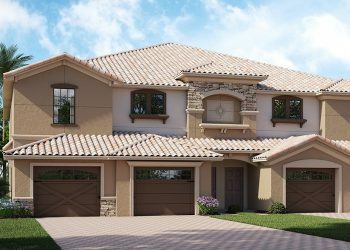 You will definitely save on energy costs with this home. 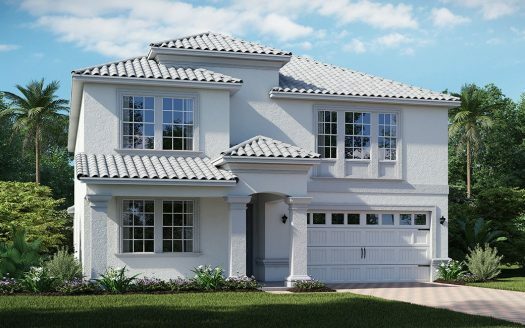 This home includes double pane E-glass windows, radiant barrier roof insulation, hybrid ultra efficient water heater, 15 seer dual zone A/C units and a central pest control system. This home is a must see! Be sure to click on the virtual tour link to view several additional photos. MOTIVATED SELLER! This 6 bed/6 bathroom single family property is located at Champions Gate The Retreat Resort. Ready for investors! Fully furnished and decorated! 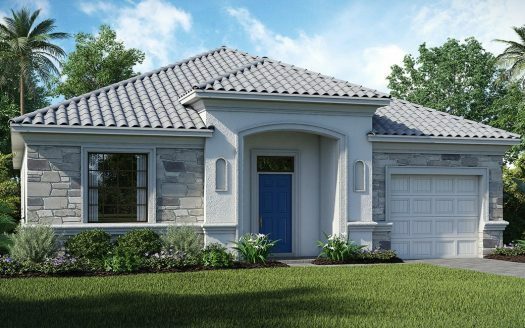 The Cayman floor plan offers two bedrooms on the first floor, and owner&apos;s closet, laundry and a 2-car garage converted to game room as well. Fully equipped kitchen with appliances and kitchenware. Second floor with 4 bedrooms (two with Jack&apos;n&apos;Jill shared bathroom) and a nice living area. 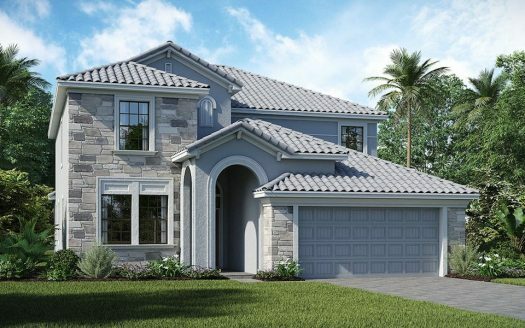 On the exterior you will love the screened-in patio area with pool, bathroom and furniture! This award-winning community will enchant your guests with tons of amazing activities on the clubhouse, such as resort-style pool, lazy river, restaurant and spa. Just a few minutes to all major Orlando attractions! 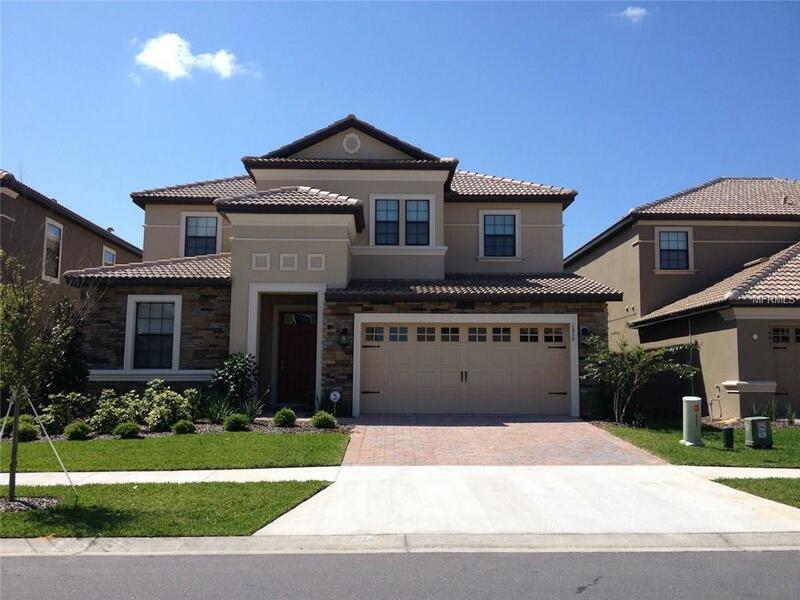 Don&apos;t miss this great opportunity to have your own home close to Disney! PRICE REDUCTION! Don´t miss this one. INCOME Generating vacation home, beautifully themed rooms, game room and a large family and loft areas. 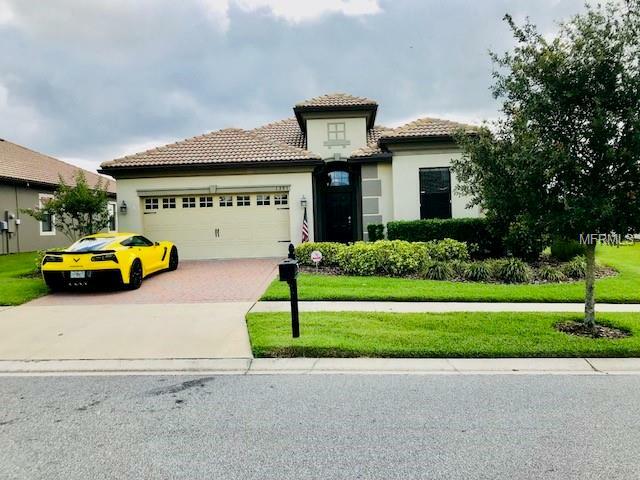 This fully furnished gated resort vacation pool home with 7 large bedrooms and 5 bathrooms, pool and hot tub and a game room. This is a turn-key home and is already renting with booking ready to convey to the new owner. It has a great open floor plan. Nice open loft upstairs, laundry room and themed bedrooms. Downstairs is the main master bedroom and a second bedroom, granite on the kitchen counters, stainless steel appliances, large living room and dining room. Screened covered heated pool, hot tub and covered lanai. Professionally decorated furniture package including a leather couch. The HOA fully maintains the lawn and common areas, cable tv, security monitoring, phone, internet and full use of the clubhouse. The Clubhouse features resort style pool & lounge complex, a full exercise room/gym. Large pool with slides, lazy river, volleyball and air-conditioned cabanas. 12 minutes from Disney. Perfect for income generating short-term rentals. A secure family-friendly resort experience. It can be your primary residence, vacation home or an income property. 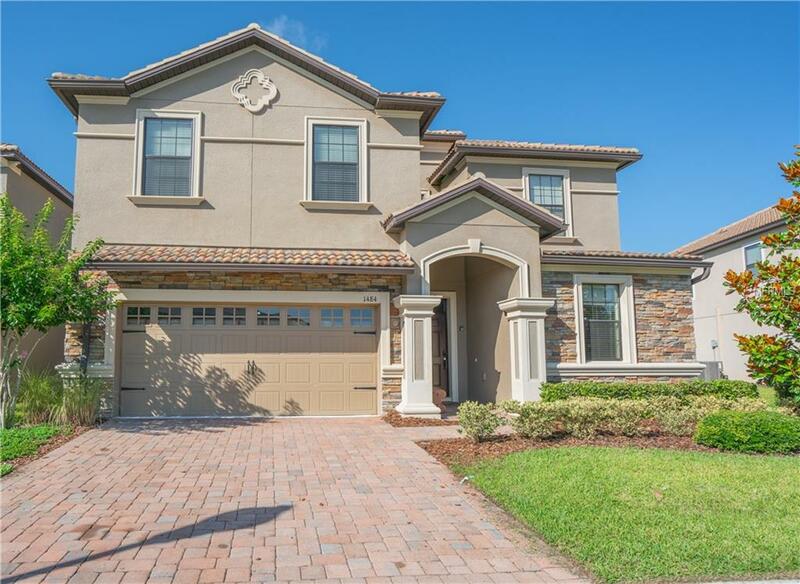 ELEGANT FULLY FURNISHED Grand Two-Story Home in Champions Gate. 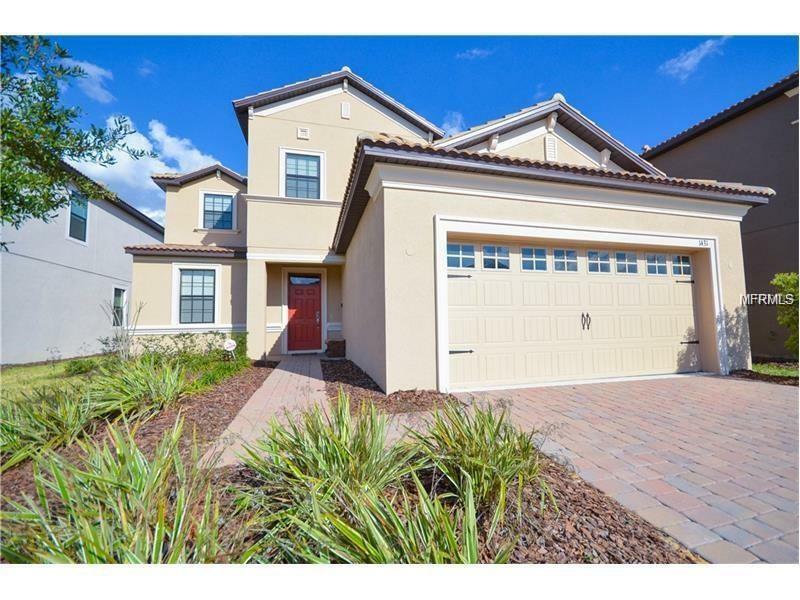 Much sought after 24 Hour Guard Gated community in the Orlando&apos;s metropolitan area. Two Spacious Master Suites and 3 Junior in-suite bedrooms; a total of 6 bedrooms and 6 bathroom home. 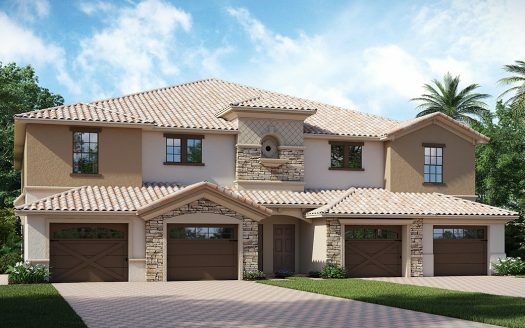 Large Open Floor plan with Covered Lanai overlooking Private Heated Swimming Pool and Spa. NO REAR NEIGHBORS!! Fully Equipped Kitchen with 42" Cabinets and Stainless Steel Appliances. Granite Counter tops in the Kitchen. Also included are Game Room, Recreation Lounge and in-home Security System. ADDITIONAL PRIVACY: NO Direct Back Neighbors. Champions Gate GRAND CLUBHOUSE with Concierge Services nearby this property, WATER-PARK, Resort Style Pool, Spa, Lazy River, Water-Slides, Swim-Up Bar, Water Falls, Beach Entry, Splash Pad, Grill, Tiki Bar, Cabanas, FULLY EQUIPPED Fitness Center, Theatre, Games Room, Basketball Court and 7 Tennis Courts. Perfect to for relaxing with friends and families. No Rear Neighbors! Hard to find in Champions Gate. Be Sure to Check Out the Virtual Tour! Better than new – comes FULLY FURNISHED! This home is turnkey ready and producing income with current and future bookings. 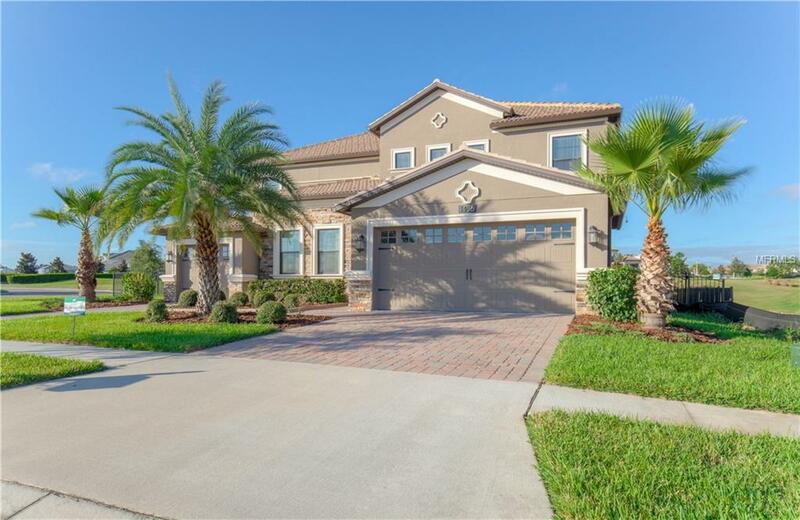 This home is a beautiful West facing 7 bedroom luxury furnished vacation rental home in The retreat at CG Resort in a amazing location very close to the multi-million dollar “Oasis” waterpark and clubhouse. The Oasis is a multi-million dollar clubhouse and resort style pool complex. Full service restaurant and bar, arcade, yoga room, Camp Oasis, and a full exercise room/gym. This home checks all the boxes and provides a balance of an investment home and personal vacation home. Professionally decorated, this vacation home is in excellent condition and is sold fully furnished and rental ready. All stainless steel appliances, luxury bedroom suites, two large sitting / media areas, large flat screen TV&apos;s, a fully equipped games room and bonus room make this home the ideal luxury vacation rental property. Outside the sun deck area offers a heated pool with amazing rock waterfalls and covered lanai for the best outdoor vacation experience, everything you need in a vacation home can be found in this fantastic home. If you have been considering a vacation home in The Retreat at CG this is an outstanding option! No Rear Neighbors! Hard to find in Champions Gate. Be Sure to Check Out the Virtual Tour! Better than new – lots of upgrades modern sleek updates for today&apos;s market! This home is turnkey ready and producing income with current and future bookings. 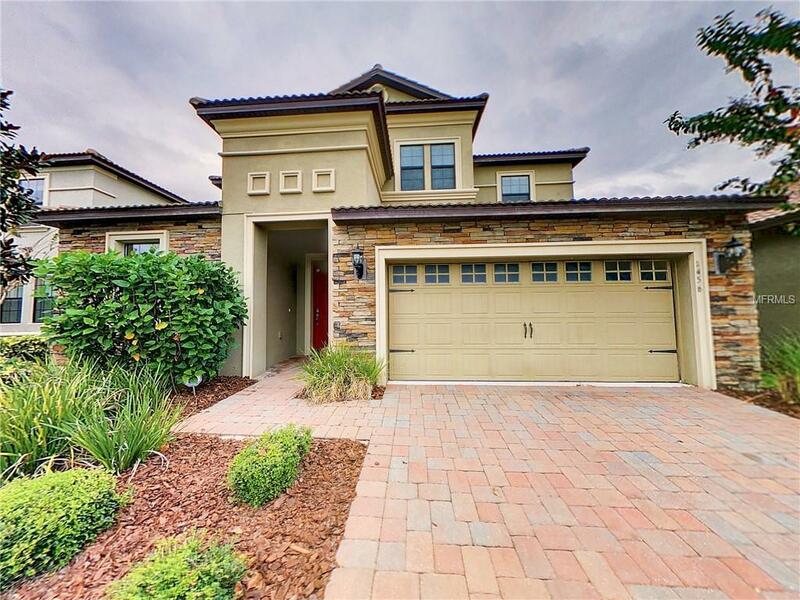 This home is a beautiful West facing 8 bedroom luxury furnished vacation rental home in The retreat at CG Resort in a amazing location very close to the multi-million dollar “Oasis” waterpark and clubhouse. 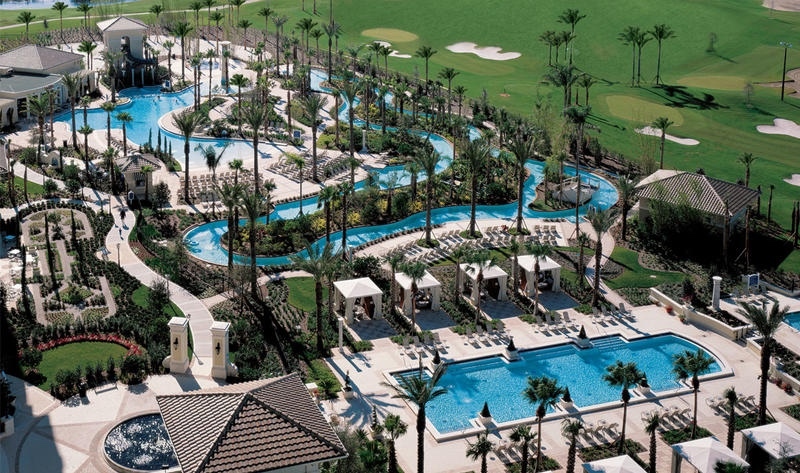 The Oasis is a multi-million dollar clubhouse and resort style pool complex. Full service restaurant and bar, arcade, yoga room, Camp Oasis, and a full exercise room/gym. This home checks all the boxes and provides a balance of an investment home and personal vacation home. Professionally decorated, this vacation home is in excellent condition and is sold fully furnished and rental ready. All stainless steel appliances, luxury bedroom suites, two large sitting / media areas, large flat screen TV&apos;s, a fully equipped games room and bonus room make this home the ideal luxury vacation rental property. Outside the sun deck area offers a heated pool and spa and covered lanai for the best outdoor vacation experience, everything you need in a vacation home can be found in this fantastic home. If you have been considering a vacation home in The Retreat at CG and have been searching for the ideal 8 bedroom “Maui” model beautifully furnished in a prime location then you have found it in this magnificent property. AMAZING 9 BEDROOM, 5 BATH PLUS GAME ROOM, FULLY FURNISHED, OVERSIZE PRIVATE HEATED POOL & SPA PROFESSIONALLY TASTEFUL. DECORATED VACATION RENTAL READY HOME WITH FUTURE BOOKINGS IN PLACE IN THE RETREAT AT CHAMPIONS GATE. GREAT FOR AN INVESTOR, BUT IF YOU LIKE THE GOLF COURSE YOU ALSO CAN LIVE IN THIS COMPLEX. GATED COMMUNITY, GREAT SCHOOLS! 4 GOLF COURSE, WATER PARK, GYM, LAZY RIVER, TIKI BAR, MOVIE THEATER, ARCADE AND MORE, MUCH MORE... YOUR FAMILY WILL BE SO GREATFULL WITH THIS PLACE. COME AND SEE!!! PRICE REDUCED!!! 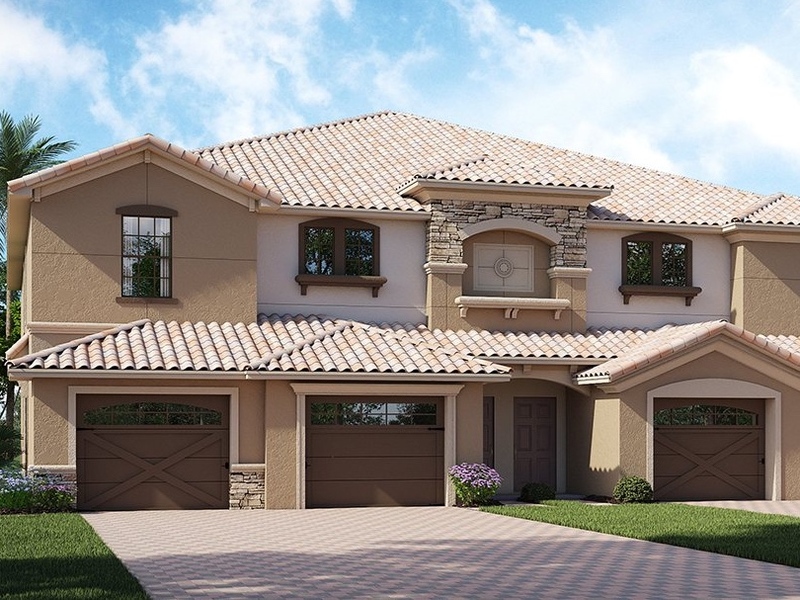 This beautiful brand new home is located in the wonderful community of Champions Gate. These rooms are all spacious. 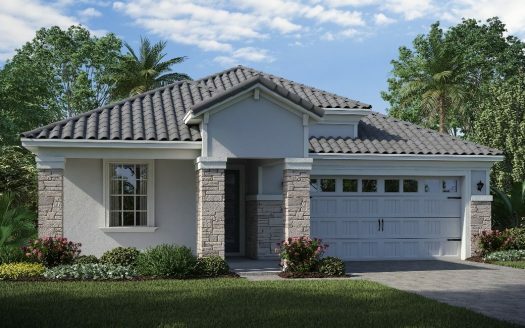 In this wonderful open concept floor plan, there is plenty of room for everyone to be together. Perfect to enjoy our incredible Florida weather! CHAMPIONS GATE RESORT ORLANDO OASIS CLUB CLUBHOUSE AND WATER-PARK: Amenities will include: Lazy River, Water-slides, Swim-Up Bar, Water Falls, Beach Entry, Spa, Splash Pad, Grill, Bar, Fitness Area, Theater, Games Room, Tiki Bar and Cabanas. Simply relax by the pool, watch your family have the time of their life. All of these amenities plus use of seven tennis courts are INCLUDED in HOA. 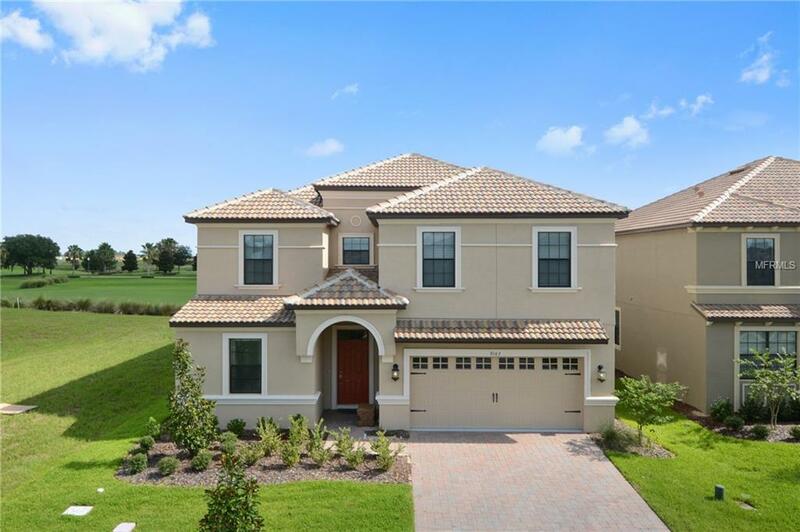 Absolutely gorgeous 8 bedroom 5 bath vacation home in the RETREAT at CHAMPIONSGATE! 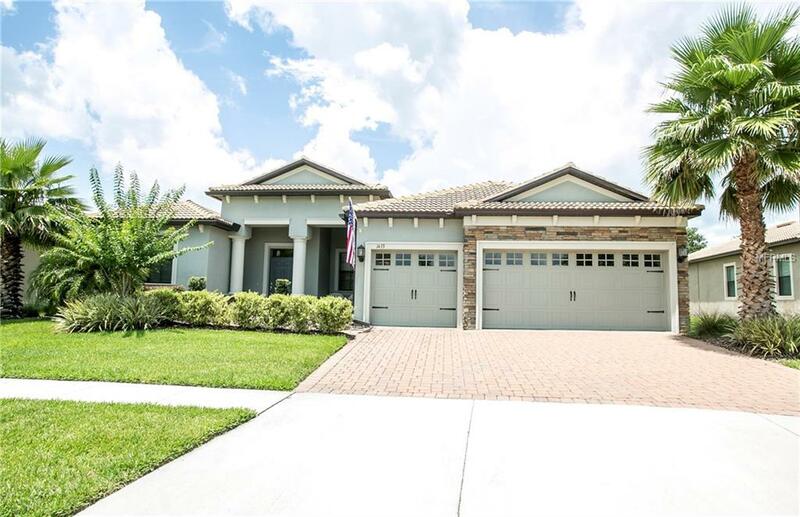 This is a turn key home, professionally decorated with everything you need and much more, including GOLF COURSE VIEW, CORNER LOT WITH NO REAR AND LEFT SIDE NEIGHBOR, two master suites on the ground floor, two family suites as well as additional bedrooms for your guests on the second floor. This home has already weeks of bookings in place. 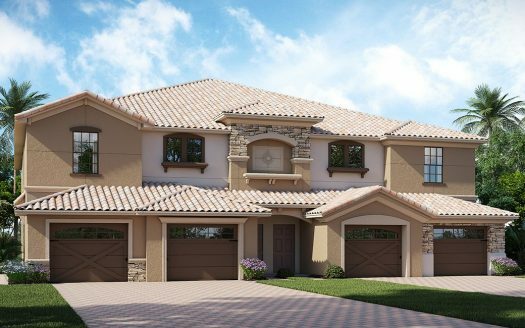 This well designed home welcomes you into the beautiful tiled hallway which opens up into the bright and airy family and dining room areas which overlook the pool and lanai area. Alongside the family room is a well proportionate kitchen featuring luxury stainless steel appliances, granite counter tops and an abundance of beautiful wood cabinets for all your culinary needs. This home offers lots of entertainment space from the spacious living areas both upstairs and down as well as the well designed game room. This home also features a gorgeous pool and spa overlooking the golf course. The Finest lot in the Country Club. 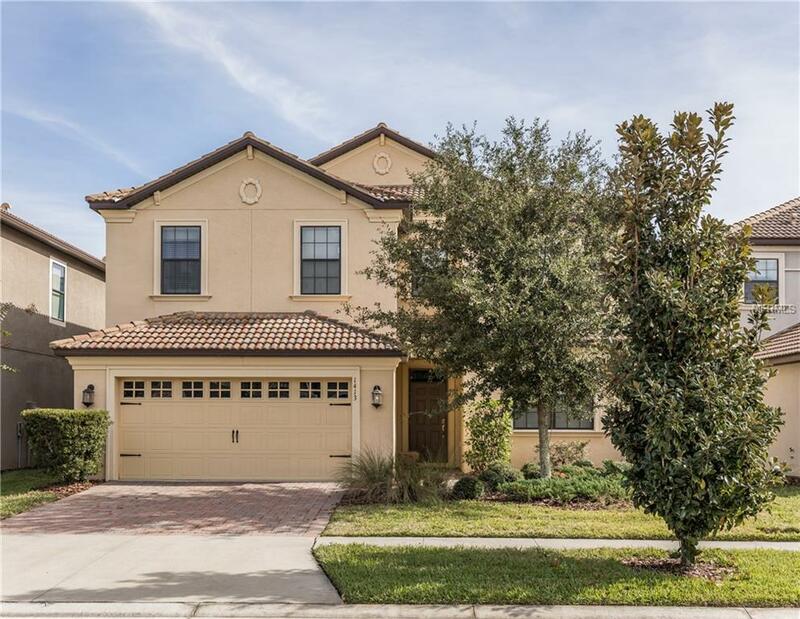 Beautiful 6 Bedroom, 4 and half Bath home located in Championsgate Country Club section. 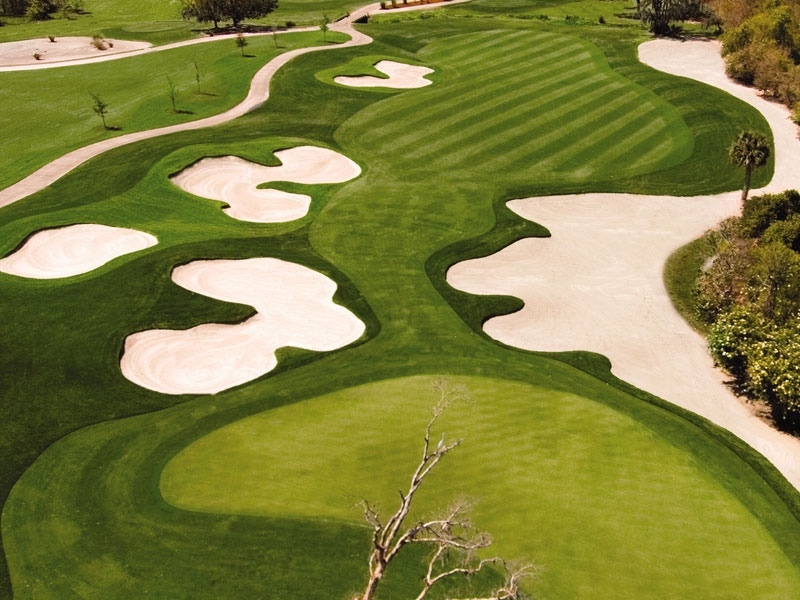 Golf membership is included with homeowner fees. This fenced oversize elevated lot where you can enjoy the view of the 15th Green from your 1800 sq ft screened in lanai. This Liberation floor plan is a next generation home that the owners have invested over $95,000 in improvements and upgrades. The home has been meticulously maintained by the owners. You will appreciate the spacious open plan first floor. with a new custom kitchen that was installed in 2017 and tile floors throughout.The next-gen annex offers a living-room, bedroom, bathroom and kitchen area. To the second floor is a spacious and bright master bedroom, large master bathroom and fully fitted walk in closet with four further bedroom and the bathrooms. Finishing the second floor accommodation is a large media room and utility room. Whilst outside there is a 2 car and 1 car garage. 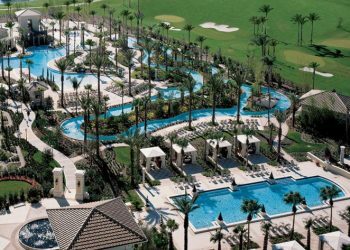 The Oasis is a 14,000 sqft clubhouse with a lazy river, wading pool, quiet pool, poolside cabanas, Tiki Bar, exercise center, meeting rooms, restaurant, business center, concierge desk and a theater showing nightly movies. Plus the new Clubhouse exclusive to Country Club owners will be completed at year end. It will include two pools, a restaurant, pickle ball courts, steam rooms, exercise facility, aerobics room, and a meeting room. 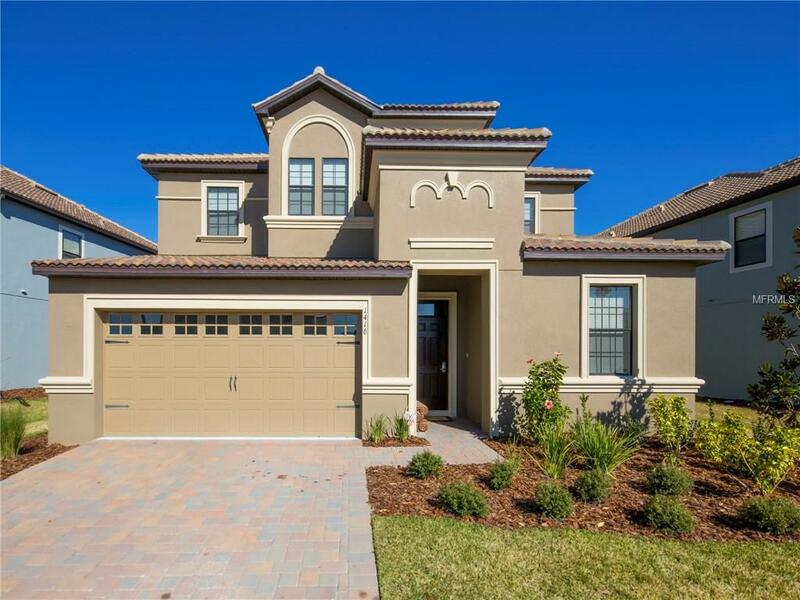 Championsgate is easy access to I-4, all the Orlando attractions, shopping and restaurants are nearby.